Coney Island's famed Wonder Wheel turns slowly in the darkness, a rotating neon beacon announcing to anyone arriving by subway that they've entered Warriors home turf. It's still on – the big meet with Cyrus and the gangs of New York, that is. Can you dig it? 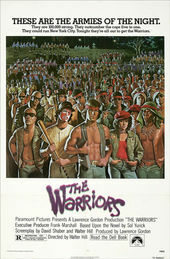 From Brooklyn to the Bronx they'll go, winding their way through the city's underground arteries, their colors and Barry De Vorzon's funky electric warcry letting every other gang know that the Warriors have come out to play. We meet all manner of thug, hoodlum, and ruffian on this crosstown odyssey: the Hi-Hats, the Boppers, the Electric Eliminators, the Gladiators, the Saracens, the Savage Huns, and of course the titular tribe - together comprising some of New York's crudest. 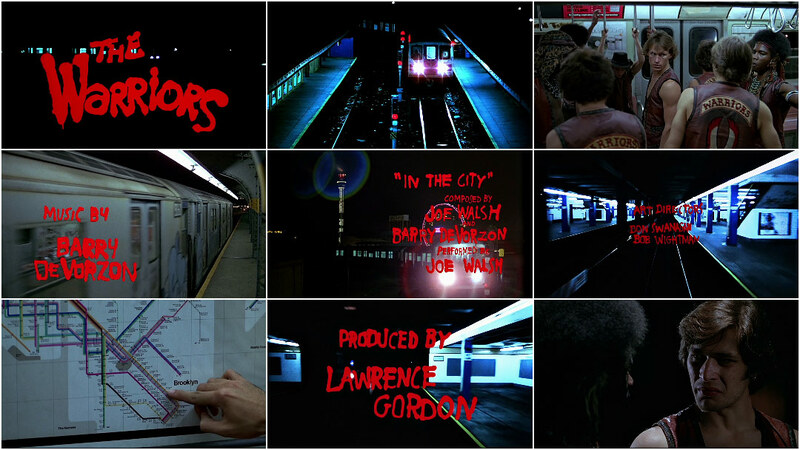 It's going to be another hard night in the five boroughs, the bloody evening ahead foreshadowed by the sanguinary titles rushing toward the train on the ride uptown.